DHI: Hair Implantations must be performed only by medical doctors! At DHI, our patient’s safety and success are of utmost importance. With this as our top priority, we have attracted patients from all over the world and gained their trust through the consistent and incomparable quality of our procedures. 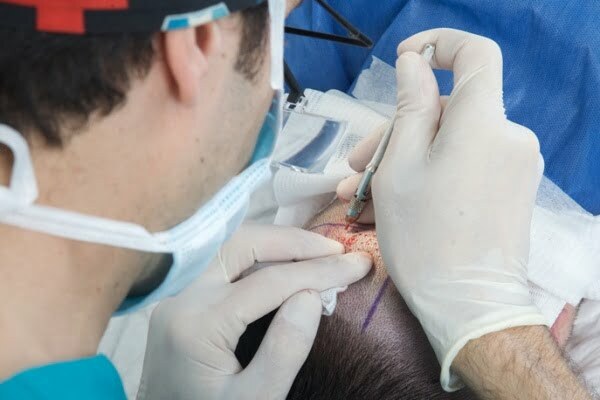 Hair transplantation is an innovative medical procedure which, when performed by certified physicians in the field, gives a permanent solution to hair loss. It improves not only the patient’s appearance, but their self-confidence as well. By contrast, a failed hair transplant exaggerates the problem by only providing a temporary solution, at best. While the initial investment might seem quite low, the long-term effects of having to reinvest and the burden of frustration are far more detrimental to the patient’s overall well-being. In each of our DHI centers, hair transplants are performed exclusively by experienced and certified doctors trained at the Hair Restoration Academy in London. We believe that each and every hair transplant session worldwide should be performed by a doctor specifically trained and certified in hair restoration, no exceptions. Unfortunately, this standard is not upheld in most clinics and beauty centers, who claim to carry out similar sessions to ours, but with staff that do not have the experience or certification and, in some cases, have no medical background whatsoever. This misleading information is the primary cause for concern now in every potential client. Having seen so many botched results and heard so many horror stories, they aren’t sure who to trust, especially when everyone’s stories sound the same. During the recent meeting of the International Society of Hair Restoration Surgery (ISHRS) held in Las Vegas, the slogan and main topic was, in fact, this very need for hair transplants to no longer be performed by technicians or specialists, but only by doctors. We were thrilled to hear this, but curious as to why now? Why has it taken so long for this to become a mandatory standard in our industry? What ISHRS is becoming aware of only now is not news at DHI- only confirmation. This is a practice we established 15 years ago and have upheld ever since. We were the first medical organization worldwide to acknowledge the necessity for this procedure to be performed only by experienced doctors, specifically trained and certified in hair restoration, and to make this our standard. With 46 years of experience and 62 centers worldwide, DHI Global Medical Group is the largest and most experienced medical team in hair restoration and the treatment of scalp disorders. We have a foundation deeply rooted in scientific research, which is the basis for all of our innovations and what underlies everything that we share with our patients. Transparency is one of our key values and what has allowed us to build lifelong relationships with our patients based on trust. One of our most recent revolutionary techniques is known as the Hair Specialization Transplantation (HST), which is performed with two DHI physicians present. This allows for one doctor to be responsible for the extraction of hair follicles and one to perform the implantation in the affected area. This new technique allows for greater efficiency with outstanding results. In addition, we have two ongoing research projects in collaboration with the University of Athens. The first is on the psychopathology of patients with hair loss, and the second on the study of stem cells in hair follicles, the developments of which are expected to transform the world of hair transplantation and give patients more control over their options. As always, DHI looks forward to sharing these innovations with you as they develop every step of the way. Stepping Forward, Changing the World!